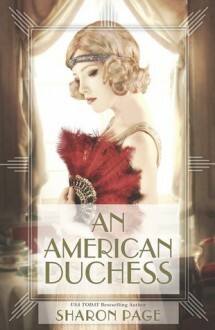 AN AMERICAN DUCHESS is the latest from Sharon Page, an author I’ve loved and enjoyed for years in all kinds of romance subgenres. It tells the story of a modern young woman whose determination to embrace life in the face of death both attracts and disturbs a more traditional man equally determined to retreat from life for the same reasons. Zoe Gifford was raised dirt poor and no amount of new money later in life will ever make New York society ever truly accept her or her mother. But that money will be enough to buy a marriage with the younger brother of an English Duke, and release the rest of Zoe’s trust fund so she can finally be free from her family and their expectations. When Zoe first meets her fiance’s older brother, their immediate mutual dislike appears to mask an even stronger physical attraction. But how can she marry the Duke for love when she had no intention of staying married in the first place? Nigel, Duke of Langford, has survived the Great War at a huge cost to his physical appearance and psychological health. Now all he wants to do is bury himself at his family estate in England and hide away from the rest of the rapidly changing world. His brother’s American fiancee is the perfect example of the type of woman he thinks he can’t abide, yet she’s also compelling in a way that Nigel simply can’t resist. When Nigel discovers his brother’s plan to subvert Zoe’s plans for a brief marriage, the damaged Duke knows that he must claim Zoe for his own. But neither Nigel nor Zoe could have anticipated just how true the words “for better or worse” would be for them after the wedding was over. Although I enjoyed AN AMERICAN DUCHESS overall, it was still a story that both charmed and infuriated me in equal amounts. The first section of the book starting from when Zoe and Nigel first meet, all the way up to their wedding, could have stood alone as a very good category romance. But this is also the story of what happened after they fell in love and were married, and what happens next is both tragic and confusing. Tragic, because Nigel and Zoe experience the worst sort of loss that two expectant parents can face, and the way they each cope with their grief drives a gigantic wedge between them. Confusing, because in the middle of their personal tragedy, both Nigel and Zoe became involved in additional plot lines that seemed to exist solely to provide an epic Big Misunderstanding that would seemingly force the couple apart permanently. Of course, it was the time apart that made Nigel and Zoe realize that their love was worth every effort to trust each other with their mutual secrets and to do everything they could to make things work. But it was frustrating to see only hints of what Zoe’s life had been like during their separation, and then see the two of them magically resolve every single difference in a conversation they could have had all along. Even the baby epilogue (cleverly named “The Baby Epilogue”) presents the results of an obviously successful pregnancy with no reference to any difficulties the couple had faced previously in the book. 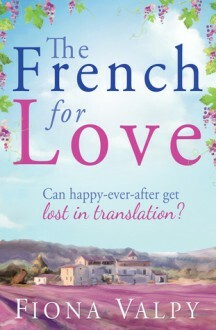 Still, even with all the difficulty I had with the latter half of the book, the intimate scenes between Zoe and Nigel are uniformly great, and their initial romance is so wonderful that I still have to give 4 stars for the book as a whole. I just wish the rest of Nigel and Zoe’s story had lived up to the promise of what had gone before.